The 1980s don't get a lot of love. When many people think of the 1980s, they think of ridiculous hair, textiles resembling Technicolor vomit, shoulder pads, and AIDS. I heard they tried to bring shoulder pads back recently. And Wal Mart was selling jelly shoes last year. 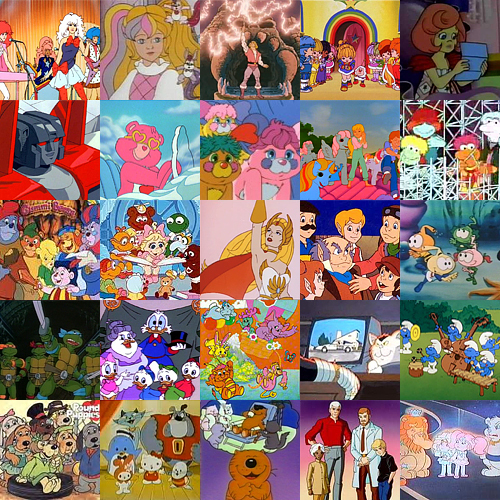 Those who were children in the 1980s, however, all think of the same thing: the cartoons. The best thing about that decade was, as anyone in the world will tell you, the cartoons. the 80s without talking about the cartoons. Yes, I watched all of these. There was one other awesome thing to come out of the 1980s though: me! In 1983, to be more specific. Yes, 1983, my birth year, what I was originally talking about. Clearly this was the best year of the entire decade. I mean, look at that face. Look at it. You can see why I was distressed to discover that my own child would be so hideous. 1. Nintendo released the very first Mario games. While Mario appeared in 1981's Donkey Kong and 1982's Donkey Kong Jr., he didn't start getting his own games until 1983. And people wonder where my Nintedo fangirlery stems from. Mario and I were made for each other. Maybe literally--I would have to ask my mother about that. 2. This happened. I mean Return of the Jedi happened. I saw it in theater! I was two months old and slept through it, but, hey, I still feel cooler having seen four out of the six movies in theater. 3. 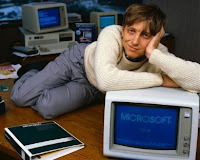 Bill Gates was hot. It's not the money. Really. 4. 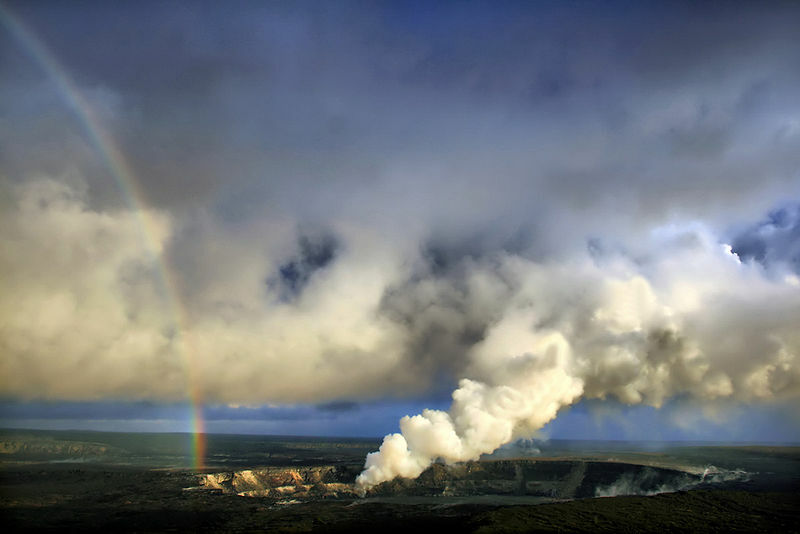 Kīlauea, on the Big Island of Hawaii, started erupting. And it still is. That's right, 1983 rocked so hard that it irrevocably ruptured the surface of the earth. 5. 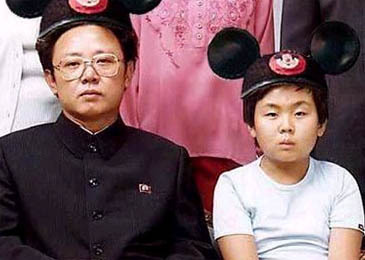 Tokyo Disneyland opened. What more is there to say? More Disneyland means more awesome. 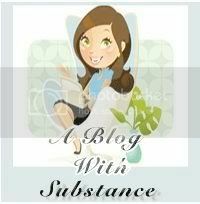 I've received my very first blog award! Thanks, Kate! Simply Kate is one of my favorite blogs because it's, duh, simple. She likes Zelda and Glee and uses lots of pictures. And she likes me too, so obviously that makes me like her more. We all have our egos. And soon to be more Disney-whorish. I'm all about making up adjectives. And riding on It's a Small World. The last three choices for your top 5 80s moments are varying degrees of disturbing. Not the incidents themselves, but that you rate them so highly. "And soon to be more Disney-whorish." A subtle change from the more common and accurate description which does not include the qualifier. I see you bein' all jelly. Haters gonna hate. I did, but since I was gonna mention Mario later anyway I gave his spot in collage to Moon Dreamers. That show had really cool toys! My lion glowed in the dark! "it ruptured the surface of the Earth"
I wonder what Steve Jobs looked like in 1983. Bet he was hotter than Bill Gates. And when I say "hotter" I mean that literally. I'm sure he was rocking the turtlenecks back then. I've been watching a lot of cartoons from my childhood. Like the Smurfs and Stop the Smoggies. <3 I love Teletoon Retro.